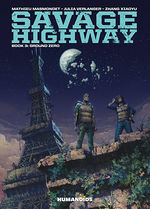 A hallucinatory roadtrip story amid a sun-beaten and ravaged highway peppered with scattered wrecks and populated by banded, violent degenerates. 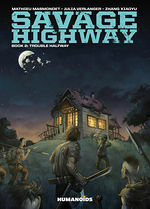 A first class and even more "savage" graphic novel adaptation of the cult novel by Julia Verlanger. ...a gritty and compelling tale. 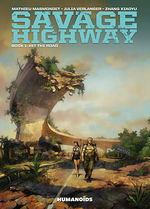 [Savage Highway’s first volume is a] a great first step that leaves us wanting to adventure on.